Chili always a favorite! Cooking slow and easy on the stove top or place in the slow cooker after browning the meat and basically forget about it. It can be made with any combination of meats.such as beef, pork and venison. In heavy saucepan or cast iron pot, brown meat, bell pepper, garlic and onion in oil. Salt and pepper to taste. Add the chili powder and cumin. Stir together. Combine with the tomato sauce; heat thoroughly. Add water until the desired consistency is reached. Simmer for 30 minutes stirring to prevent scorching. Serve over your favorite wiener and hot dog bun. 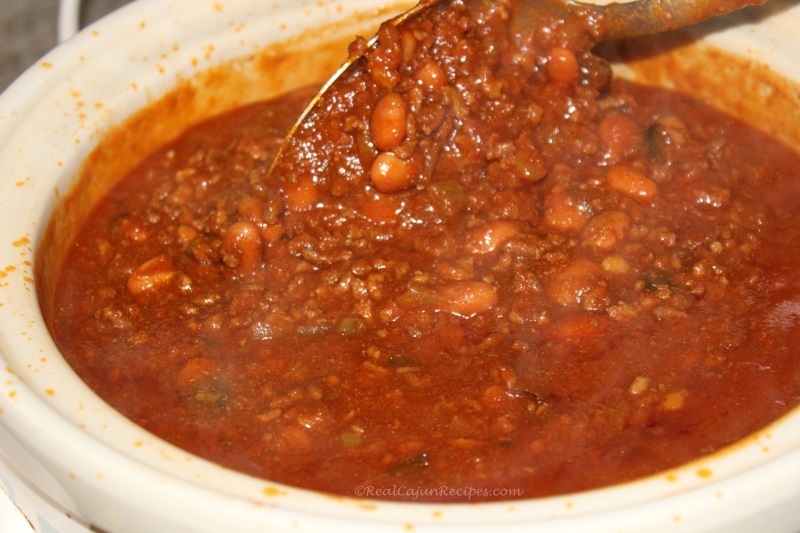 To extend this dish for home use, add 2 cans of chili beans. In addition to the above ingredients, my recipe 30 years later has changed to include a can of black bean soup.